Okay, I promise this will be my last post about fall items until it is actually getting a little colder here in NJ. Hah Please don’t hate me! The #nsale has got me thinking about fall clothes/shoes, mostly because Ive been seeing so many adorable pieces on sale for a killer deal! My outfit in todays post is specifically inspired by this amazing sale. 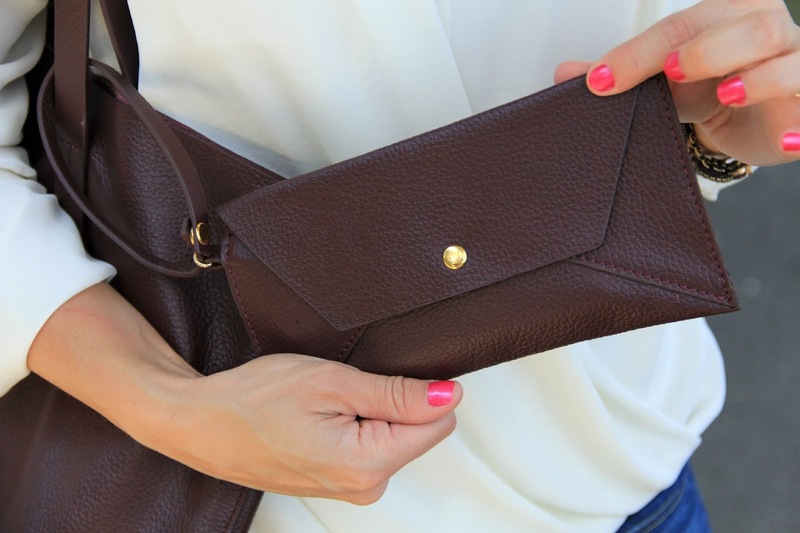 This beautiful Poverty Flats bag is genuine leather, with lots of room for whatever you might need on a day to day basis. As a mom; its perfect for snacks, sippy cups, and pretty much anything I need for my kids. Not to mention- it has a little detachable wristlet for all of my mommy must haves. My husband and I took the kids to the beach yesterday, so I detached my wristlet and loaded it with my debit card, car keys, hair comb, etc so it wouldn’t get lost in our beach bag. Want to know the best part? 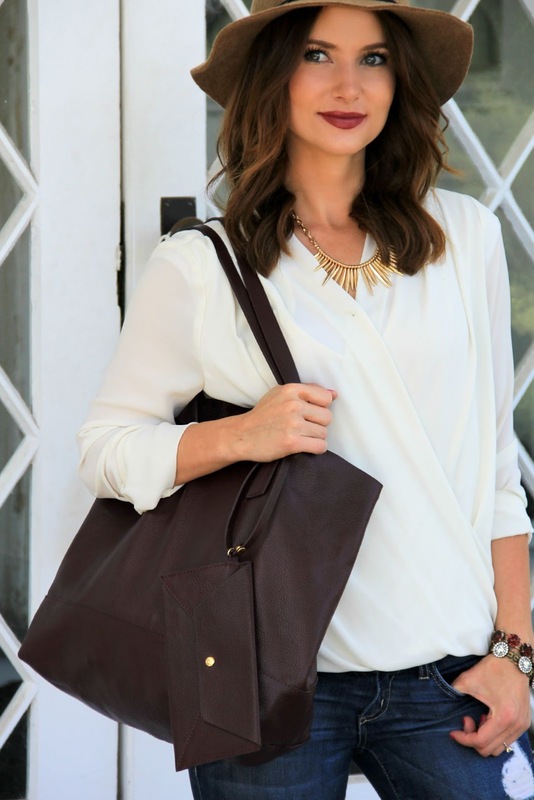 This genuine leather bag is on sale for only $92. Such a good deal for a bag like this! I paired it with my new favorite flats (also on sale); unfortunately because they are selling like hot cakes, sizes are limited. They also have this similar style available in multiple sizes. Oh and don’t even get me started on this denim. I found an almost identical pair on sale for only $39!!! A good friend of mine bought them; and you guys, they are are the same wash! Plus, they are very flattering! I got the blush version of these flats and I love them so much! Thank you so much cute girl! your shoes are super cute!!! Love those shoes! And the bag is fabulous! 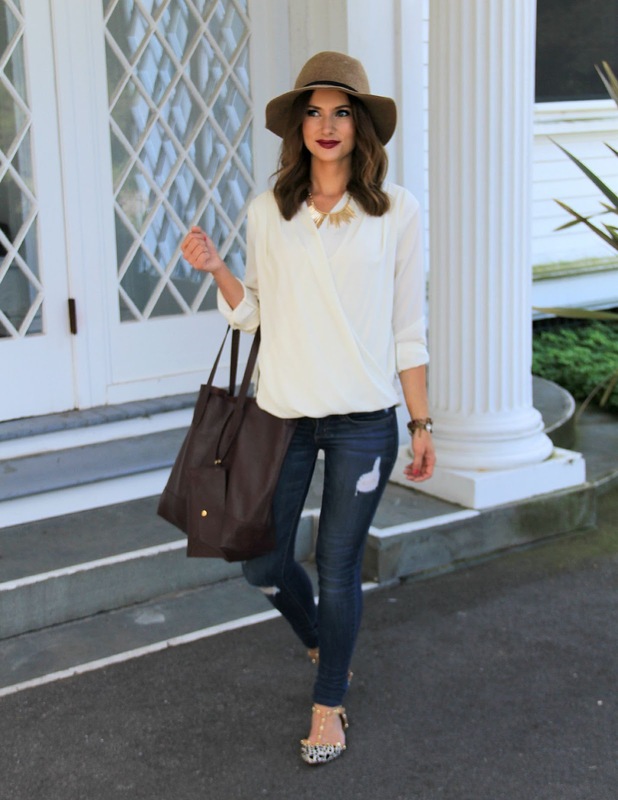 Such a cute look on you, I love everything from that great hat down to your flats. Perfection!